THE MAN who allegedly accidentally shot and killed his son at Fred Norman High School in Ennerdale earlier this year is hoping to reach an agreement with the state that will allow him to plead to a culpable homicide charge instead of murder. 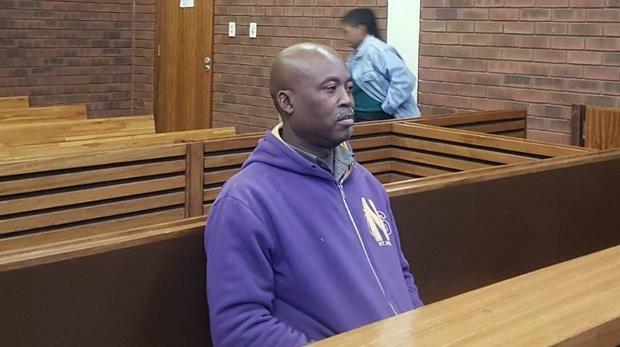 Sibusiso Emmanuel Tshabalala, 51, appeared at the Lenasia Magistrate’s Court on Tuesday. He shot and killed his son Luyanda, 16 at school on June 5. The matter has been postponed to December 11 to allow the state and defence to come to an agreement regarding a plea bargain on a culpable homicide charge rather than the current murder charge that he is facing. Sibusiso Emmanuel Tshabalala’s lawyer Chewe Machaka said the case had taken a toll on his client and that he was confident that together with the state, they would be able to reach a fair deal and put the matter to rest. Tshabalala, 51, appeared at the Lenasia Magistrate’s Court on Tuesday. He shot and killed his son Luyanda, 16 at school on June 5. In a sworn affidavit during his bail application shortly after the incident, Tshabalala had maintained that he shot his son by mistake after he was woken up by a tapping sound at the window of his car. Thinking he was being hijacked, he said he pulled out his licensed firearm and shot in the direction of the sound, not knowing it was Luyanda son who he had been waiting for to finish his extra classes. Previously, Prosecutor Tumi Maunye introduced a letter to the court from the Director of Public Prosecutions (DPP). The letter stated that the DPP wants to prosecute Tshabalala in the South Gauteng High Court, however, the case matter was later postponed to allow more time for the investigation to be completed.